The Newcastle United Blog | » Another Costly Mistake Made By Newcastle Hierarchy? 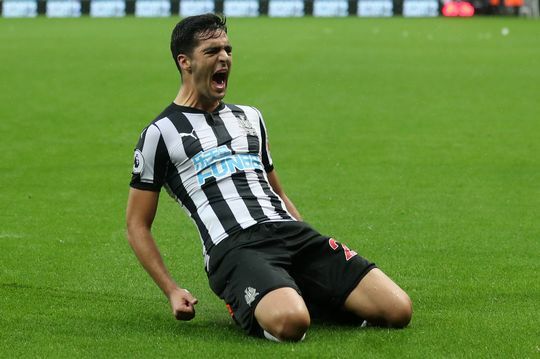 News today that Newcastle midfielder Mikel Merino has a release clause in his contract. Well would you believe it, and the release clause is about £12M according to ESPN, so that’s not too bad although we could have gotten more than £12M for him – even as is being reported – that figure is in pounds rather than euros. 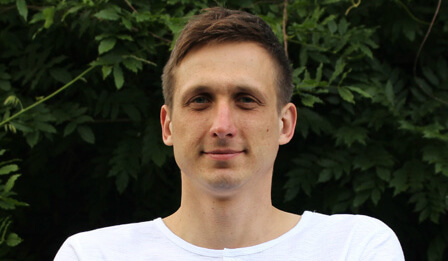 It also means that any club coming in for the midfielder with a £12M offer can then agree terms with the player and Newcastle are powerless to do anything about it. The transfer will be done. Notice that would have also been true in a year’s time – it’s just that Merino is itching for first-team football next season and wants to leave the club to get it. His agents will have been letting clubs know he is available for just £12M after we paid £7M for him last summer. But the Chronicle is reporting the Newcastle hierarchy (mainly Lee Charnley) are saying Merino’s agents demanded such a clause was inserted into the £7M deal. And maybe that’s why the transfer took months to finalize; it could also have been a short-sighted mistake by Newcastle’s hierarchy. While a bid from a Spanish club has not yet been accepted by Newcastle, any bid of £12M would have to be accepted. Maybe it was difficult to get Merino to Newcastle without a release clause but losing him is not a good thing and losing him for a reasonably mediocre release clause – because his potential is so great – is disappointing too. And Borrusia Dortmund have a sell-on clause in the contract too apparently so not all the profit will go to Newcastle. We need some good news soon this summer, and the aim is to have a better squad than we did last season come 9th August. At the end of the day though, Rafa and the fans only want players who are completely committed to Newcastle, and it doesn’t look like Merino is. But as you can see we are big fans of the 22-year-old. Just may be it was a condition of him signing a permanent deal as other cubs were already circulating after an impressive start whilst he was first on loan? Agents look to protect their clients and don’t like to see them priced out of a move? We have benefitted from such clauses before. If he was a regular would he be angling for a move now? Disappointing if he does go and at a relatively cheap fee though. Maybe this is why he was largely frozen out in the 2nd half of last season – Rafa got wind that he was likely to engineer a move via his buy-out clause and decided he wasn’t worth persevering with. As much as I like Merino, he clearly wants out. Get the money and buy someone who wants to play for us. £5m profit in a season is reasonable, although I agree it could be more. These buy out clauses are becoming the norm and we’ve benefitted from them as well as lost out on them. It’s the modern game. Insisting this clause be inserted sounds realistic to me. We have a reasonably tight knit group that punched above its weight last season. We don’t need players, agitating for a move in our dressing room. Seems to me that by insisting this clause be inserted, Merino was using us as a stepping stone anyway. I’m a straight choice between himself and Shelvey, Shelvey wins and he’s not happy to fight for his place. Nobody should have the right to demand a starting place – you earn it. He started well but definitely faded. If that was a back injury, I know from bitter experience, they don’t go away quickly. Let someone else deal with his petulance and fitness problems. The out crowd comment was merely an attempt at a humerous response to magcars’s in crowd comment, nothing more. No relevance to the Ashley or anybody else. After Merino’s £2.7 million loan fee and a signing on fee, geez, not much compensation to be had at £12 million. I just hope Merino is sold for money upfront and Benitez gets to spend it. Townsend was allegedly let go for installments which seemed so unnecessary. I’m glad he didn’t have a great season now. I thought he was going to be a £30m player after the first ten games. Thank God he had that back injury. Your not the first but I know it was just a fluff so no problem here. No doubt Ashley will be wanting us to play Colback or Saviet in Merinos place…. Rob, comment 20 that’s a good hypothesis. I’ve already said my piece about him and if as Bobby says he’s another one using us as a stepping stone then good riddance to him. Didn’t know that Armstrong had connections with Uruguay. Their no 8 Nandez is the double of him. If we did agree to such a clause could a sell on clause have been mooted as condition for a new buyer? Or would that only be appropriate when a new buyer enters negotiations? is spread over 5 years. demanding cash in full immediately. That may limit a few suitors. players values seem to jump 15% each season so these installments are crafty. i hope we get a big discount for paying upfront if we still do. Ancient, if we sold Townsend via the Pru, is he paid for yet and if not we should be able to get him back cheaper? Interesting to note that whilst Russia blew away their first two opponents, they’ve come a cropper against a decent Uruguay side. Could you imagine the scenerio if we were still paying for Thauvin, and they’d got their money back, and were about to sell him on for £80m. Whilst it is possible that Merino’s seen the club as a stepping stone, I wonder whether he’d be wanting away if he could see that Ashley had real ambition for it? Any player worth his salt would want to be part of winning trophies and be part of a squad system. However, there lies the problem and Merino won’t be the last to want to join a club that’s setting out to challenge and try to win meaningful trophies.